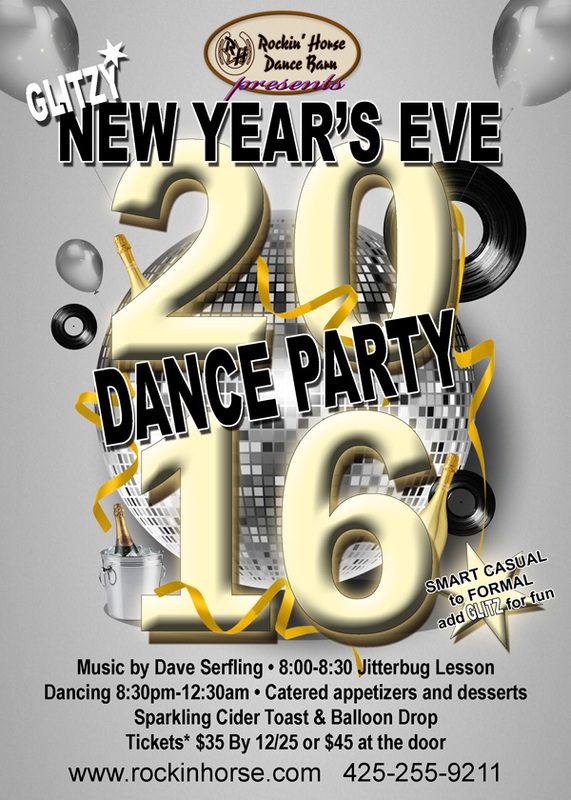 Join the Rockin’ Horse Dance Barn for a Rockin’ Glitzy New Years Eve Dance Party 2016. This New Years Eve Dance Party 2016 has a Glitzy theme. You can add some Glitz to your outfit to add some fun to the night. The attire is Smart Casual to Formal. We are serving Catered appetizers and desserts. Balloon Drop and Sparkling Cider toast at midnight.